小莫里斯·約瑟夫·米克尔怀特 Maurice Joseph Micklewhite, Jr.
Woman Times Seven Handsome Stranger Caine appeared in the segment "Snow"
^ 欧洲电影奖揭晓 《年轻气盛》夺得三奖成大赢家. 1905电影网. 2015-12-13. ^ Close. 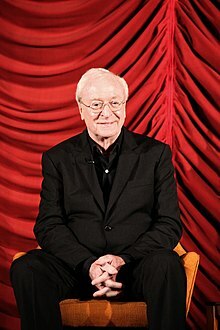 Michael Caine (I) | Interviews | guardian.co.uk Film. Film.guardian.co.uk. [2009-10-17]. ^ Horsham Carfax Electric Theatre — Hidden Horsham. Hidden Horsham<!. [2009-10-17]. （原始内容存档于2009-08-21）.